The full-featured NOX606 was designed for the DJ who wants everything right at his/her fingertips. With enough inputs to handle a mic, two turntables, two CD players and a USB device (MP3 player or computer), the NOX606 is ready for anything. In addition to the beat-syncable FX processor (which is fully assignable), two VCFs (Voltage Controlled Filters) and two LFOs (Low Frequency Oscillators) can be assigned to any channel or crossfader side for mind-blowing filter and modulation effects. And if still want more, all channels feature two switchable pre-/post-fader stereo AUX sends, so you add outboard FX for unbridled creativity. Sophisticated cueing and monitoring, 4-band EQs on all line channels, and an amazing array of output options make the NOX606 the heavyweight champion of DJ club mixers. There’s even a “music only” output for a secondary listening zone or for recording your sets without the microphone! 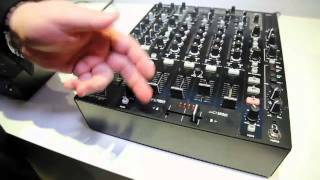 Considering purchasing the Behringer NOX606? Have questions? Ask people who've recently bought one. Do you own the Behringer NOX606? Why not write a review based on your experience with it. 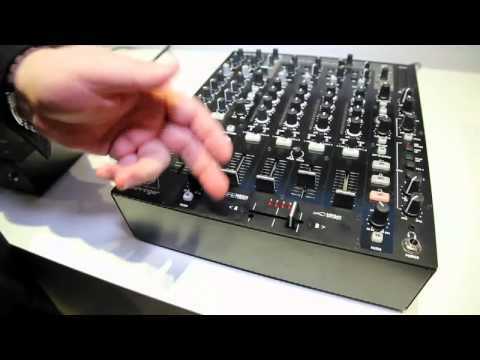 Seen a video for Behringer NOX606 online or have you own video? Check out Behringer NOX606 on DJkit.com!